Please let me know if this issue downloads too slowly for you. I am experimenting with some new code this week. I have also updated many of the graphics. Your comments are always appreciated. 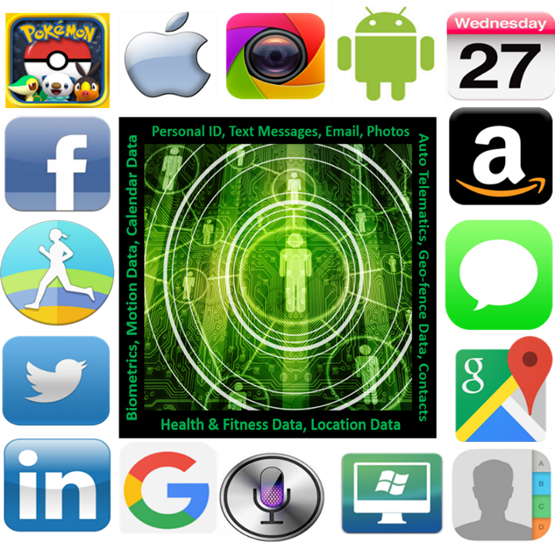 We have another great article (following below) this week from Rex Lee, a technology journalist, who is a friend, a colleague, and who has been researching the issue of personal privacy on smartphones and connected products for some time. Rex has concluded that a person cannot buy a private, secure or safe cellular phone anymore, whether the device is a smartphone or a flip phone. His next article will expose this fact. Meanwhile, the following article will offer some helpful hints to partially mitigate the problem on currently available smartphones. Cover up your digital footprints. Your phone is logging your activity. Every time you grab your phone to participate in a group chat, watch a YouTube video, or search the Internet, you leave a digital trail of activity. This footprint can compromise your privacy the next time a friend borrows your device. It also puts your personal information at risk should your phone fall into really unscrupulous hands. In this guide, we'll explain how you can prevent your device from logging and storing data where other people can easily stumble across it. We will focus on cleaning up your phone's local storage, as opposed to limiting the information that apps send to the cloud. The web browser on your phone, like the one on your computer, offers a data-limiting incognito or private mode. When you open a session in this mode, the app will forget the pages you visit and the keywords you search as soon as you close the window. However, private browsing doesn't make you invisible. For instance, if you log into Facebook's web portal in incognito mode, the social network will record your activity. Your Internet service provider (ISP), will also see your browsing, and it may log your online behavior as well. To hide your browsing from your ISP, you'll need to rely on a Virtual Private Network (VPN) (more on that in this roundup of security gadgets and apps ). But if you simply aim to clean up the record left on your phone's local storage, then this mode tidies up after itself very effectively. The process for using this mode will depend on the browser app you prefer. For example, to launch incognito mode with Chrome, tap the Menu button (three dots) on the top right of the page and choose New incognito tab. If you forget to browse incognito, you can still clear your saved data. Just hit Menu > Settings > Privacy > Clear browsing data. iPhone users who rely on Safari, tap the Show pages icon (two squares) on the bottom right of the screen and choose Private. Now, when you tap the Plus button to open a new window, it will be an incognito one. To erase data collected outside of private mode, open the Settings app and select Safari > Clear History and Website Data. Unless you use a chat app with self-destructing messages , it will keep records of your conversations. Of course, most people like to check back on their old communications , but you don't need to preserve every moment of a years-long thread. You can delete these old conversations manually, or try a less time-consuming option: Automatically erase chat history after a set period of time has elapsed. On iOS, open the Settings app, go to Messages > Keep Messages, and set messages to automatically disappear after 30 days. Within the app itself, you can manually erase conversations from the front screen: Swipe left on the thread and then tap the Delete button. Unfortunately, not all chat apps offer this auto-expunge function. To leave no trace of conversations on your phone, you may have to turn to manual deletion. This may be time-consuming, but it isn't difficult. For example, in Android's default SMS app, Messages, you delete a conversation by long-pressing on it and then tapping the Trash icon on the top right of the screen. 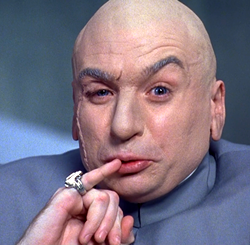 Another solution is to only send the aforementioned self-destructing messages. Apps with this option include Telegram Messenger , Facebook Messenger , and Snapchat . For more information, check out our guide to self-destructing message apps . Each of the apps on your phone will take a slightly different approach to logging your activities. Some of them let you avoid their gaze by using incognito mode, while others will stop tracking you if you ask. For example, the Android version of YouTube (this is not yet available in the iOS version) just added an incognito mode, which doesn't track the videos you watch. To activate this mode, open the app, tap your avatar on the top right of the screen, and pick Turn on Incognito. On the other hand, Google Maps will track your location by default, which lets it accumulate a lot of data about your real-world movements. To stop it, head to the settings: Launch the app, tap the Menu button (three lines) on the top left of the screen, and hit Settings (on Android) or the cog icon (on iOS). Within the settings, select Personal content and turn off the location history feature. There are millions of apps on the market, with no hard and fast rules about how to keep them from recording your behavior. But in general, a good first step is to check for the aforementioned settings—incognito mode and stopping tracking. If you don't find these options, you'll have to clear your activity manually. This process will vary depending on your operating system. Android, open Settings > Apps & notifications, pick an app from the list, and hit Storage > Clear storage. This wipes all the data that the app has stored locally. Afterward, the app will behave as if you've installed it from scratch, so you'll need to log in again, set up your preferences, and so on. On iOS, you won't find an identical option, but you can achieve the same effect by uninstalling and reinstalling an app. Open the Settings app, tap General > iPhone Storage , and select one of your apps. Then choose Delete App to wipe all of its data. Finally, re-install the program from the App Store . It's not very practical to do this for all of your apps every day. But you might choose to run a manual clean-up at set intervals (say once a month), before you go traveling, or whenever you want to make a fresh start. Many mobile apps store data locally and in the cloud, so they can sync your information to other devices. That means, to clear search logs from your phone, you'll have to wipe the records across multiple platforms. For example, your Google account will store the history of searches you've run from your Android phone. To wipe these records, you actually have to access them from the web. Open your browser and head to your Google activity history page. Click the Menu button (three lines) on the top left, then Delete activity by . Set the time span and content type—to erase everything, those should be All time and Search , respectively—and click Delete. This will wipe your search history across all the Google-linked products you use, including Android and the Google search engine. On iOS, you won't find a comparable activity cleaner. However, you can prevent Spotlight from betraying your past searches by displaying them as suggestions. To turn off this feature, head to the Settings app, tap Siri & Search, and toggle off the Suggestions in Search switch. Now, when you lend your phone to your mother to look something up, she won't see all your past search terms. As you can see, these steps are incredibly complicated and not something that everyone would want to do. I can't wait to read Rex's next article. 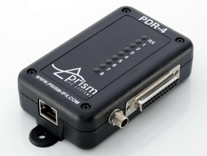 Prism-IPX Systems is growing and they are looking for more good software developers with communications experience. Additional information is available on their web site. Apple Pays $23.6 Million Over the Foundation Technology for Transmitting and Storing Text Messages Which Was Covered by Patents Filed and Held by MTel in the 1990s. The cellular phone that is likely sitting within arm’s reach of you as you read this article doubtlessly has the capability to send email and text messages. It probably chimes and rings and buzzes multiple times a day alerting you that someone, somewhere, is trying to get in touch with you. Texting and sending mobile email are the norm, creating the expectation that everyone is (or at least should be) instantaneously accessible. Many of these standards of constant access are due to features like Apple’s iMessage and mail apps, which have made mobile text messaging communication effortless on their various AirPort-enabled and IOS devices. But before Apple staked their claim on these technologies, before sending a text became preferable to calling on the phone, paging was the latest breakthrough in communication technology. Twenty years ago, paging technology was revolutionary. Here, in a little plastic device that would fit in the pocket of any elite executive or connected teenager, callback numbers and alphanumeric messages would appear. Paging allowed for instant communication and accessibility, laying the groundwork for being able to reach anyone at any time. 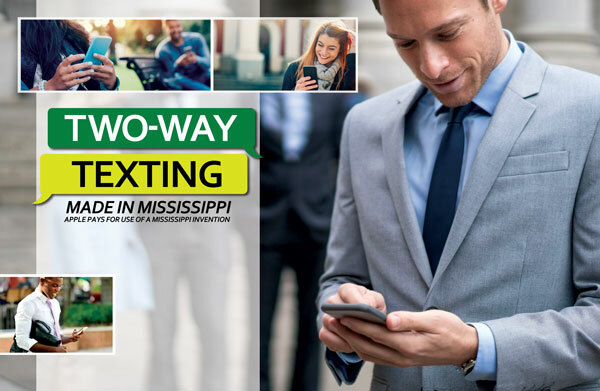 One of the most significant technological leaps in paging, two-way communication that enabled one device to both send and receive messages, came from a company based in Clinton, Mississippi — SkyTel. SkyTel was, according to their website, “the first company to offer nationwide numeric and text paging and the first with 2-Way messaging and guaranteed message delivery.” Under the watchful guidance of John Palmer, the Chairman of SkyTel’s parent company Mobile Telecommunication Technologies (MTel), and Jai Bhagat, SkyTel’s President and CEO, SkyTel innovated new technology that revolutionized personal communication with its comprehensive coverage and convenient-to-use devices. SkyTel went through various iterations under several different names in tandem with a number of mergers. The company was eventually aquired by WorldCom, whose filing for bankruptcy in 2002 was the largest in United States history, with $107 billion in assets. In 2006, SkyTel was acquired by Bell Industries. However, MTel has continued, throughout many of these transitions, to manage and operate SkyTel and the technology Skytel designed, which is still in use today. Although rarely used for recreational communication now, SkyTel’s two-way paging system is still present in hospitals and is frequently used by first responders to ensure timely communication in areas where cellular service is limited. In the decades since SkyTel envisioned this technology, both the hardware and software by which we communicate have changed dramatically. These days, instead of having a phone and a pager, those technologies have been combined into the text features and messaging applications that are standard to cell phones and their smarter cousins. Rapidly changing standards in software and hardware impact the form and function of our devices. These swiftly occurring transformations in how technology is packaged and sent from one device to another have economic and legal implications as well. These implications come to the fore in court cases pertaining to patent law, an area of law that has, in recent years, become especially concerned with technology patents. 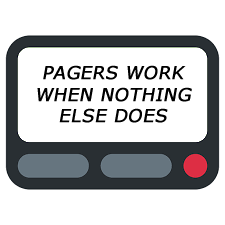 So, despite some cosmetic changes, early paging technology remains integral to the function of personal communication devices of today, as one Federal Court of Appeals in Marshall, Texas, found in a patent case concerning MTel and modern tech giant Apple. This case, and numerous others like it, beg the question of how much technology really changes over time. Surely, new versions of computers, tablets, phones, and various operating systems will continue to be developed for the foreseeable future. But in this instance, technology that was cutting edge in the 1990s is still relevant to the devices we use daily. At its heart, personal technology is rooted in communication; through paging, texting, email, and all the other modes of communication we employ on our various devices, we are trying to communicate with others. And Mississippi is proud to have fostered the technology that makes those connections possible. Surveillance Capitalism simply means that social media, smartphone and connected product users have been monetized by data driven technology providers which include social media providers, telecom providers, device manufacturers (“OEMs”), operating system (“OS”) developers and content (apps, widgets, etc.) developers. 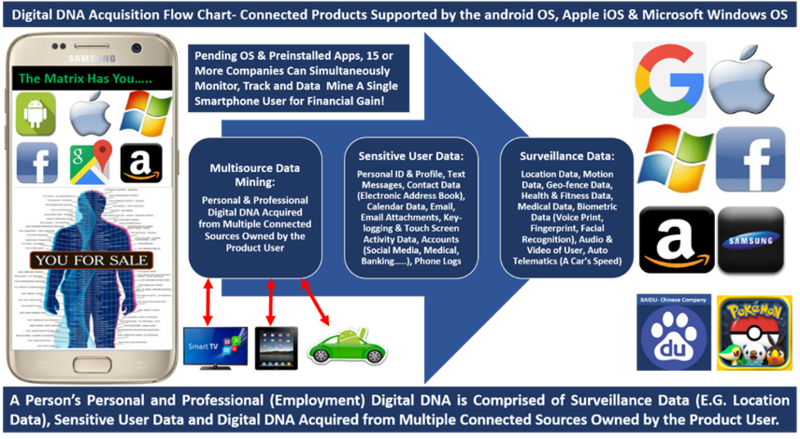 The smartphone and/or connected product user produces a valuable commodity in the form of surveillance data ( e.g. location data) and sensitive user data which can be described as a person’s personal and professional “Digital DNA”. Data driven technology providers are in the business of collecting, using, sharing, selling, purchasing and aggregating their product user’s Digital DNA for financial gain at the expense of their product user’s civil liberties, privacy, cyber security and safety since all parties concerned do not indemnify (protect) their product users from harm. The Facebook Cambridge Analytica story coupled with the Mark Zuckerberg congressional hearings should be a wakeup call for anyone who values civil liberties, privacy, cyber security, safety and business ethics. 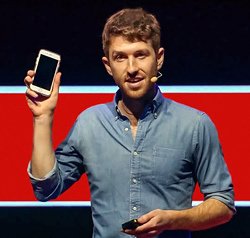 Aside from social media services, connected products such as smartphones are supported by surveillance and data mining business practices rooted in Surveillance Capitalism. Surveillance and data mining business practices enable data driven technology providers the ability to monitor, track and data mine the connected product user for financial gain at the expense of the product user’s civil liberties, privacy, cyber security and safety. Anyone who works within critical infrastructure (utility, public safety, oil & gas), the defense industry, enterprise business and government needs to understand that any connected product supported by a Surveillance Capitalism business model cannot be used within a confidential and protected environment since the products are not private, secure or safe. (November 6th, 2015/FCC Consumer Complaint #423849 Filed by Rex M. Lee/Public Record). Confidential and protected telecommunications, data and information is governed by confidentiality agreements, non-disclosure agreements (“NDAs”), industry & federal cyber security standards, federal information processing standards (“FIPS”) and confidentiality laws that govern medical information, client attorney privilege and classified information. 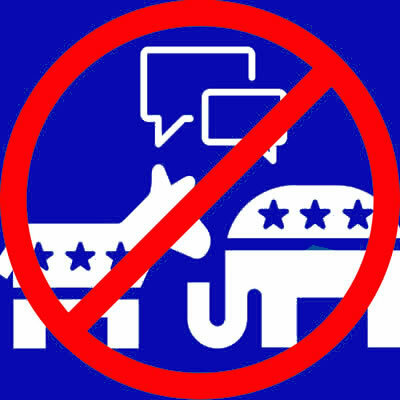 The civil liberty, privacy, cyber security, safety and technology product user exploitation threats associated with the Facebook Cambridge Analytica incident are systemic to all telecommunication and connected products supported by surveillance and data mining business practices rooted in Surveillance Capitalism. 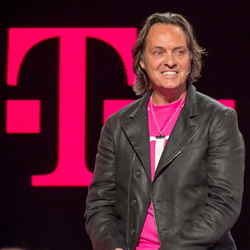 Additionally, the T-Mobile admission means that connected products such as smartphones, tablet PCs, vehicles, TVs, PCs and other products of necessity are no longer private, safe or secure due to surveillance and data mining business practices employed by the OS developers which include Google, Apple and Microsoft. I’m here to tell you that civil liberties, privacy, cyber security, safety and business ethics are dead due to predatory surveillance and data mining business practices employed by data driven technology providers. Consumers of connected products and services have been turned into “uncompensated information producers” who are being exploited for financial gain by the very companies the consumer patronizes with their loyalty, trust and hard earned money. Technology product users need an Electronic Bill of Rights to protect the product user from predatory surveillance and data mining business practices employed by data driven technology providers such as Google, Apple, Microsoft, Amazon, Samsung, Facebook and other tech giants. Before we proceed, it is important to understand how we got to a point of needing law makers to pass regulations to protect technology product users from companies that employ predatory surveillance and data mining business practices which can be described as Corporate Surveillance. 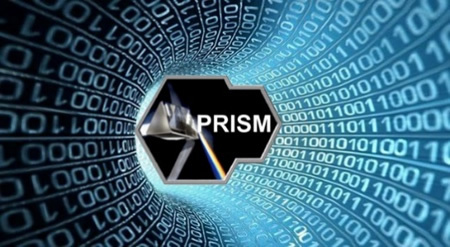 Corporate surveillance rooted in Surveillance Capitalism poses a greater threat to civil liberties, privacy, cyber security, and safety than NSA programs such as Prism (Edward Snowden) due to the fact that the product user has been monetized. 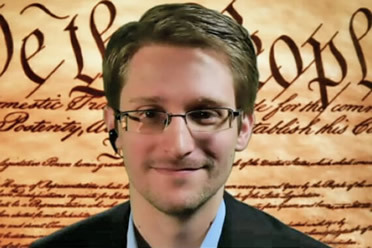 Data driven technology providers such as Google, Apple, Microsoft, Amazon, Samsung and Facebook can be described as “Step Big Brother” due to the fact that collectively these companies are conducting mass surveillance and data mining on the public in addition to government (“Big Brother”) programs such as Prism. 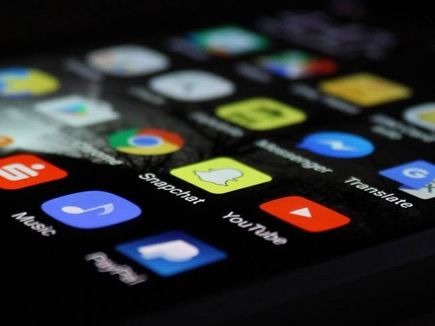 Aside from predatory surveillance and data mining business practices, social media services, smartphones and connected products are also supported by addictive, intrusive and harmful content such as apps which are designed to enable the content developer the ability to exploit the product user for financial gain. — Sean. Parker — Co-founder Facebook/Axios — November 9th, 2017. 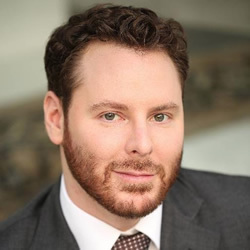 — Sean Parker, Axios — November 9th, 2017. Up until the Facebook Cambridge Analytica incident, Facebook users had no idea that their personal and professional Digital DNA could be misused for nefarious purposes at the expense of their civil liberties, privacy, cyber security and safety. The mainstream media and lawmakers focused on the fact that Cambridge Analytica misused the Facebook user’s Digital DNA in order manipulate the Facebook user to vote for then presidential candidate Donald Trump. 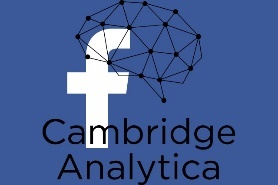 In order to find out the real issue with the Facebook Cambridge Analytica incident, law makers and the media needed to focus on the legal process that supports online services such as Facebook and other connected products supported by the Android OS, Apple iOS and Microsoft Windows OS. 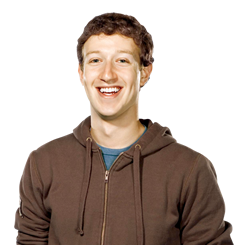 During the congressional hearings, Mark Zuckerberg positioned Facebook as a naïve victim that was exploited by Aleksandr Kogan (app developer/data broker) rather than admitting that Facebook was negligent in regards to protecting the Facebook user’s Digital DNA from being misused by entities whom purchase access to the user from Facebook. Naïve Silicon Valley Senior Executive or Dr. Evil? 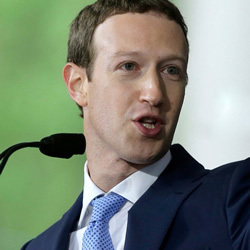 In addition, he implied that Facebook does not directly sell the Facebook user’s Digital DNA to any third- parties which may be true if you put it those terms. To protect their companies from being sued, data driven technology providers simply sell access to their product users and paying customers by way of partnerships with companies that develop addictive, intrusive, harmful and exploitive content such as apps which enable the developers to monitor, track and data mine the product user for financial gain. At the end of the day, Aleksandr Kogan simply cut a deal with Facebook allowing him to develop an intrusive app enabling him to lawfully monitor, track and data mine the Facebook user for financial gain. Mr. Kogan, then sold the Facebook User’s Digital DNA to Cambridge Analytica. Cambridge Analytica then used the Facebook user’s Digital DNA in a way to manipulate the user into taking an action such as voting for a presidential candidate based on the user’s personal preferences. People only cried foul after the misuse of the Facebook user’s Digital DNA was brought to light. However, data driven technology providers use artificial intelligence (“AI”), predictive analytics and suggestive technology to manipulate the product user into taking an action such as purchasing a product, clicking on a link or having a conversation with a chatbot that is mimicking a real person. The grim reality is that numerous Silicon Valley executives have become multi-billionaires by selling access to the technology product user by way of partnerships with advertisers and/or data brokers such as Aleksandr Kogan and/or Cambridge Analytica. Aside from Facebook, companies such as AT&T, T-Mobile, Verizon, Sprint, IBM, Google, Apple, Microsoft, Amazon, Samsung, Sony and BAIDU have adopted the Surveillance Capitalism business model. For example, AT&T, Verizon, T-Mobile and Sprint were recently in the headlines (June of 2018) for selling their telecom subscriber’s location data to data brokers such as LocationSmart and Zumigo due to the misuse of the telecom subscriber’s location data. The LocationSmart and Zumigo revelation means that telecom providers such as AT&T, Verizon, T- Mobile and Sprint also support predatory surveillance and data mining business practices posing potential harm to the telecom subscriber. Why have so many blue chip companies adopted the Surveillance Capitalism business model at the expense of their paying customer’s civil liberties, privacy, cyber security, and safety? 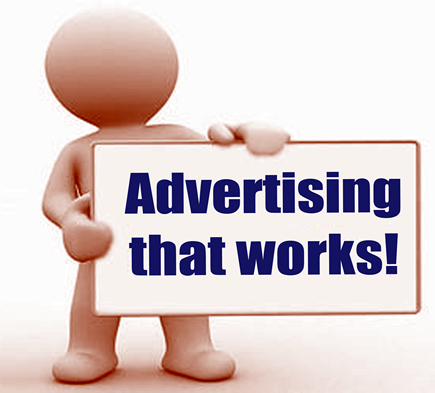 Answer, personal and professional Digital DNA is worth untold billions on the free market. The fact is no company can generate billions in profits by giving away free apps or free online services such as social media. Unfortunately, a person’s Digital DNA is worth more money than can be generated by charging for apps or social media services so to compete in today’s market many blue chip companies have found ways to monetize their paying customers. This all sounds good on paper but the reality is the fact that paying customers are now being exploited for financial gain at the expense of privacy by way of products and services that require payment to participate such as smartphones, tablet PCs, TVs and even automobiles. How do data driven technology providers lawfully monitor, track and data mine their product users for financial gain at the expense of their product user’s civil liberties, privacy, cyber security and safety? The unpublished preinstalled application legalese explains how much surveillance the data driven technology provider can conduct on the product user. Additionally, the unpublished preinstalled application legalese also explains how much of the product user’s surveillance data ( e.g. location data) and sensitive user data can be collected, used, shared, sold, and aggregated for financial gains by the data driven technology developers. 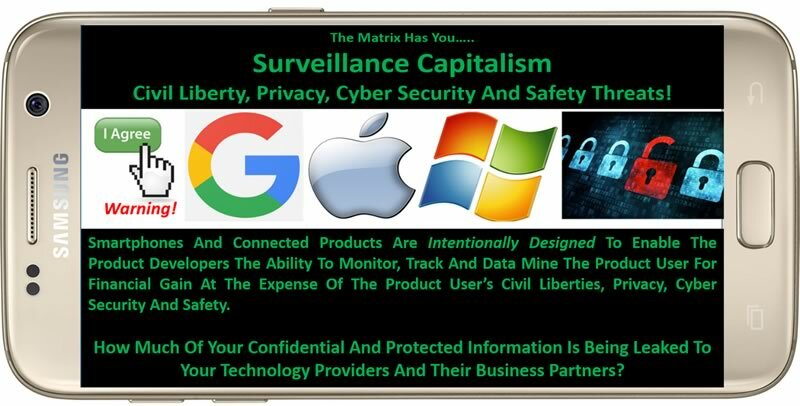 The android (Google) OS, Apple iOS and Microsoft Windows OS are all supported by surveillance and data mining business practices that enable many companies from around the world to monitor, track and data mine the product user for financial gain. Nearly 100% of all activity associated with the use of the product is recorded, collected, used, shared, sold, purchased and aggregated for financial gain by Google, Apple, Microsoft and all relevant preinstalled content developers. As the result of the preinstalled content that supports products such as smartphones, there can be as many as 15 or more multinational companies that are enabled to simultaneously monitor, track and data mine a single smartphone user for financial gain. Companies such as Facebook or even companies from China such as BAIDU can lawfully partner with companies such as Google in order to monitor, track and data mine U.S. telecom subscribers by way of smartphones supported by protected (due process/4th amendment) telecom infrastructure governed by the FCC. It is clear to see that predatory surveillance and data mining business practices employed by data driven technology providers are out of control and pose huge civil liberty, privacy, cyber security, safety and exploitation threats to product users. It is time that telecom providers, the FTC, FCC, and law makers institute policies plus pass legislation designed to protect individuals, children and business professionals from data driven technology providers that employ predatory surveillance and data mining business practices rooted in Surveillance Capitalism. Uncontrollable Technology Products That Require Payment To Participate — Product owners should be able to have complete control over any product that requires payment to participate such as smartphones, PCs, vehicles, TVs, tablet PCs, voice automated products and the list goes on. . . While 5G networks hold the promise of speeds that will be 100 times faster than today and enable 100 times the number of devices, carriers and stakeholders providing wireless and wireline infrastructure, as well as the satellite industry, say they need access to more spectrum. Noting that 5G will enable technologies like telehealth, autonomous cars and precision agriculture, President/CEO of CTIA, The Wireless Association, Meredith Baker, told the Senate Energy & Commerce Committee yesterday it’s imperative the U.S. get going on an action plan to free-up more spectrum. She cited an Accenture report that said if the U.S. can speed up 5G deployment by one year, that would add about $1 billion to the economy. But more importantly, she said, other countries like China and South Korea are ahead of the U.S. in clearing spectrum for 5G. Charter’s infrastructure can integrate WiFi, LTE, 5G and other technologies, said company SVP of Wireless Technology Craig Cowden. 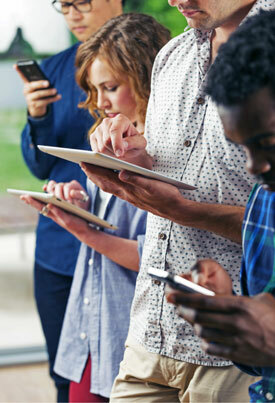 “Our WiFi network currently serves more than 280 million wireless devices. Many of those wireless devices are smart phones provided by cellular companies yet 80 percent of the data used on those phones goes through our WiFi network,” said Cowden. Test results using millimeter-wave 5G spectrum, the 28 GHz band, in seven markets with varied weather and terrain are “encouraging.” Both he and Brenner hope the FCC acts quickly to finish the item to free-up more spectrum in the CBRS band. On July 23, the FCC issued a Public Notice announcing the counties in which conditional forbearance from the obligation to offer Lifeline-supported voice service applies, pursuant to the FCC’s 2016 Lifeline Order. The full list can be found here . The conditional forbearance is effective September 21, 2018. This forbearance applies only to the Lifeline voice obligation of eligible telecommunications carriers (ETCs) that are designated for purposes of receiving both high-cost and Lifeline support (high-cost/Lifeline ETCs), and not to Lifeline-only ETCs. See the full article below for more information. BloostonLaw Contacts: Gerry Duffy, Mary Sisak, and Sal Taillefer. 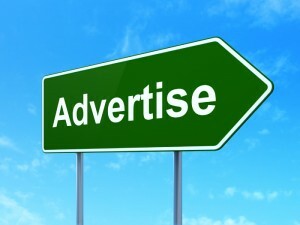 On July 20, the FCC issued a Public Notice authorizing 175 rate-of-return companies that elected 210 revised offers of Alternative Connect America Cost Model (A-CAM) support to receive additional model-based support in exchange for extending broadband service to additional locations. A report showing the revised authorization amount and deployment obligations for each carrier that elected a revised offer can be found here . These carriers are among the rate-of-return carriers nationwide that previously had been authorized to receive A-CAM support. In addition, the FCC also released a summary report showing the state-level amounts of model-based support and associated deployment obligations for all carriers that have been authorized to receive model-based support. That report can be found here . In 2016, the FCC adopted a voluntary path for rate-of-return carriers to elect to receive model-based support for a 10-year term in exchange for extending broadband service to a pre-determined number of eligible locations. In Public Notices issued on December 20, 2016 and January 24, 2017, the FCC authorized model-based support for 207 rate-of-return companies. In the 2018 Rate-of-Return Reform Order, the FCC offered additional support to all carriers that accepted the first revised offers of model-based support. Under this second revised offer, all locations with costs above $52.50 will be funded up to a per-location fund cap of $146.10, with adjusted deployment obligations. On May 7, 2018, the Bureau released a public notice announcing the revised model-based support amounts and corresponding deployment obligations and providing the carriers with 45 days to accept the revised offer. In response, 175 rate-of-return companies submitted letters electing 210 separate revised offers of A-CAM support in 39 states. Collectively, the net increase in annualized support compared to the previously-elected A-CAM amounts is approximately $36 million. However, this increase will be partially offset by transition payments already disbursed that will be reduced or eliminated going forward due to the per-location cap’s increase. The FCC previously directed USAC to make a one-time lump sum payment from excess cash in its high-cost account to true-up support that would have been disbursed in 2017 and 2018 at the $146.10 per-location support amounts. USAC will calculate both the adjustment to transition payments and the necessary true-up, and adjust the amount of cash it retains in the high-cost account to fund A-CAM to reflect the revised authorizations. On July 20, the FCC issued a Public Notice announcing the comment deadlines for Verizon’s Petition for Declaratory Ruling, in which it asks the FCC to confirm that if a local exchange carrier (LEC) delivers a call to a two-stage dialing platform, including an Internet Protocol (IP)-enabled platform, the LEC does not perform terminating switched access functions and cannot charge tariffed end office terminating switched access charges for that call. Comments are due August 20, and reply comments are due September 5. Verizon explains that this Petition arises from ongoing litigation, including a primary jurisdiction referral from the U.S. District Court for the Northern District of Illinois in March 2018. Carriers interested in participating in this proceeding are invited to contact the firm for more information. The 2016 Lifeline Order established conditional forbearance from Lifeline voice obligations in targeted areas where certain competitive conditions are met. In particular, the FCC granted forbearance from high-cost/ Lifeline ETCs’ obligation to offer and advertise Lifeline voice service in counties where the following conditions are met: (1) 51 percent of Lifeline subscribers in the county are obtaining broadband Internet access service; (2) there are at least three other providers of Lifeline broadband Internet access service that each serve at least five percent of the Lifeline broadband subscribers in that county; and (3) the ETC does not actually receive federal high-cost universal service support. The counties listed in the Public Notice meet the competitive conditions; and for ETCs that are receiving high-cost support in these counties, the forbearance applies only in areas within the county where the ETC does not receive high-cost support. This forbearance does not grant relief from the Lifeline voice obligation as to those Lifeline subscribers that the high-cost/Lifeline ETC serves as of the date of this Public Notice. Additionally, this forbearance does not preclude ETCs from electing to provide and receive reimbursement for Lifeline-discounted voice service. This forbearance will apply in the counties identified in the Public Notice, to the extent that ETCs are not receiving federal high-cost universal service support in those areas, until 60 days after the FCC issues a Public Notice in 2019 updating the list of counties in which conditional forbearance applies. On July 23, the FCC issued a Public Notice seeking comment the state of competition in the communications marketplace, including competition to deliver audio service among broadcast stations, satellite radio, and entities that provide audio content via the Internet and to mobile devices. Comment deadlines have not yet been established. recent entry into and exit from the marketplace. In addition, comment is on whether laws, regulations, regulatory practices or demonstrated marketplace practices pose a barrier to competitive entry into the marketplace for the delivery of audio programming or to the competitive expansion of existing providers. Comment is also sought concerning the extent to which any such laws, regulations or marketplace practices affect entry barriers for entrepreneurs and other small businesses in the marketplace for the delivery of audio programming. A bill introduced in the US House of Representatives this week would direct the Federal Communications Commission to study ways to promote rural broadband connectivity and the use of precision agriculture technologies. These technologies allow farmers and ranchers to collect data in real time about their fields, to automate field management, and to maximize resources. If the bill should become law, this development should be of interest to our law firm’s clients who provide broadband service to communities with significant farming and ranching operations. The Precision Agriculture Connectivity Act of 2018 requires the FCC to establish a Task Force for Meeting Connectivity and Technology Needs of Precision Agriculture in the United States. 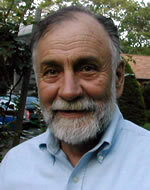 The task force's duties would include: (1) identifying and measuring current gaps in broadband Internet access service coverage of cropland and ranch land; (2) assembling a comprehensive guide of all federal programs and resources working to expand broadband Internet access service on unserved cropland and ranch land; and (3) developing policy recommendations to promote the rapid, expanded deployment of fixed and mobile broadband Internet access service on unserved cropland and ranch land. Many of the latest yield-maximizing and environmentally friendly farming and ranching techniques require broadband connections for data collection and analysis performed both on the farm and in remote data centers, American Farm Bureau Federation (AFBF) President Zippy Duvall wrote in a June letter urging House Energy and Commerce Committee members to support the bill. According to the AFBF, FCC data shows that 39 percent of rural Americans lack access to minimum broadband speed service (25 Mbps/3 Mbps), compared to only 4 percent of urban American. We are not aware of any specific FCC information about broadband connectivity on farm and ranch land. The House bill is identical to a measure that was introduced to the US Senate last January as S. 2343. Both items include findings that precision agriculture technologies can reduce operation costs by up to 25 dollars per acre and may increase farm yields by up to 70 percent by 2050, and that these cost savings and productivity benefits cannot be realized without the availability of reliable broadband Internet access service delivered to the cropland and ranch land of the United States. The Task Force in question would be selected by the FCC Chairman in consultation with FCC staff and the Secretary of Agriculture, and would include as many as fifteen (15) members, including agricultural producers, providers of rural fixed and mobile broadband Internet access services and telecommunications infrastructure, representatives from the satellite industry, representatives from agricultural equipment, robotics technologies and drone manufacturers, and representatives from State and local governments. Both the House and Senate bills are reported as having strong bipartisan support. The AFBF supports inclusion of the Precision Agriculture Connectivity Act in the farm bill. BloostonLaw Contacts: John Prendergast, Gerry Duffy, and Cary Mitchell. The FCC’s Public Safety and Homeland Security Bureau, in coordination with FEMA, has announced a nationwide combined test of the Wireless Emergency Alert (WEA) and Emergency Alert System (EAS) on Thursday, September 20, 2018, with a back-up date of Wednesday, October 3, 2018. EAS participants must file the required series of reports starting on August 27, as discussed below. Participating carriers should observe the test results in their communities and may report any problems or provide feedback at the FCC’s Public Safety Support Center at https://www.fcc.gov/general/publicsafetysupport-center . Two minutes after the Nationwide WEA Test, all participants in the Emergency Alert System must take part in the National EAS Test which has been scheduled to take place at 2:20 p.m. EDT. As a reminder, EAS Participants are required to comply with the Commission’s EAS rules, and include analog radio and television stations, wired and wireless cable television systems, digital broadcast systems, digital television broadcast stations, Satellite Digital Audio Radio Service, digital cable and digital audio broadcasting systems, and wireline video systems. We remind EAS Participants that they are required to register with the EAS Test Reporting System (ETRS) and must complete the filing of ETRS Form One on or before August 27, 2018. On or before 11:59 p.m. EDT, September 20, 2018, EAS Participants must file the “day of test” information sought by ETRS Form Two. On or before November 5, 2018, EAS Participants must file the detailed post-test data sought by ETRS Form Three. Filers can access ETRS by visiting the ETRS page of the Commission’s website at https://www.fcc.gov/general/eas-test-reporting-system . Instructional videos regarding registration and completion of the ETRS Forms are available on the ETRS page. The substance of Form One in ETRS appears to be the same as last year and requests identifying information on a participant’s location, its EAS equipment and monitoring assignments, and contact information for EAS purposes. 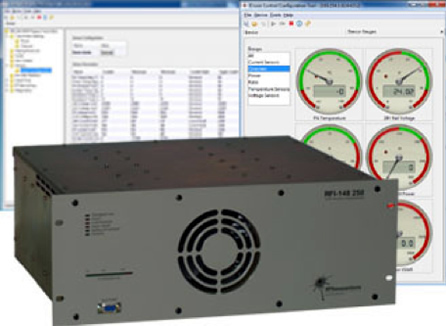 The FCC requires each EAS participant to file a separate Form One for each EAS decoder, EAS encoder, or unit combining such decoder and encoder functions. Forms can be submitted on a station-by-station basis or on a “batch filing” basis for certain commonly-owned stations. Again, all Form Ones must be filed by no later than August 27. The ETRS system requires use of an FCC Username obtained from the Commission’s CORES systems. Based on the form as currently available in ETRS (which will not be “live” for filing until September 20th ), participants will simply be required to certify whether the station received and retransmitted the national test message. Finally, all EAS participants will be required to file a post-test ETRS Form 3 no later than Nov. 5, 2018. 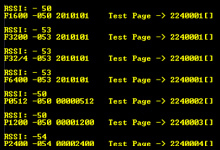 Based on the Form 3 currently available in the ETRS system, participants will be required to identify the specific times at which they received and retransmitted the test message, the source(s) from which they received the test (including which source it was received from first), the language in which the message was received and retransmitted, and any complications they experienced. Clients with questions about either the Nationwide WEA Test or the Nationwide EAS Test and any of the associated EAS Test filing/reporting requirements should contact Cary Mitchell. On July 18, the FCC granted the Motion for Extension of Time to extend the comment and reply comment deadlines, filed by Beasley Media Group, LLC; Educational Media Foundation; Gradick Communications, LLC; iHeart Communications, Inc.; Neuhoff Corp.; Radio One Licenses, LLC/Urban One, Inc.; and Withers Broadcasting Companies (Petitioners), of the FCC’s FNPRM in MB Docket 18-119. Comments are now due August 6, and reply comments are now due September 5. In the FNPRM, the FCC seeks comment on several proposals designed to streamline the rules relating to interference caused by FM translators and expedite the translator complaint resolution process, based in part upon the petitions for rulemaking filed by the National Association of Broadcasters and Aztec Capital Partners, Inc. The FCC is also seeking comment on its proposal to specify and clarify the information that must be contained in each listener interference complaint, thus potentially reducing lengthy and resource-intensive disputes over a listener’s bona fides. To discourage the filing of poorly substantiated claims, the FCC is proposing to require that a minimum number of listener complaints be submitted with each translator interference claim and that listener complaints beyond a certain contour would not be actionable. Finally, the FCC is seeking comment on streamlining the interference resolution process by applying technical data, rather than relying on listener involvement, to demonstrate resolution of properly documented, bona fide listener complaints. The FCC proposes to amend the actual interference and predicted interference rules to state that interference will be considered to occur whenever reception of a regularly used signal by six or more listeners, at separate locations using separate receivers, is impaired or is predicted to be impaired, by the signals radiated by the FM translator station. Finally, in order to simplify and expedite the interference resolution process, the NPRM proposes to require that the FM translator operator, once interference has been initially established through bona fide listener complaints, submit a technical showing that all interference has been eliminated. The NPRM proposes to require that this technical showing be based on the same U/D ratio methodology applicable to § 74.1204(f) complaints. On July 19, Congressman Chris Collins (NY-27) introduced legislation that prevents states from diverting fees collected from consumers on their phone bills, which are meant to be used to improve 9-1-1 emergency communications systems. Collins’ bill directs the FCC, in consultation with public safety organizations, and state, local and tribal governments, to determine the appropriate use of funds collected from consumers. Currently, states are able to set their own definition of what is a covered cost for 9-1-1 fees, which has allowed them to divert fees. 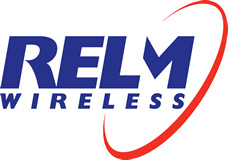 On July 18, the FCC issued a Forfeiture Order declaring a monetary forfeiture in the amount of $5,600 to Rufus Resources, LLC (Rufus), licensee of Station KMFR(AM), Pearsall, Texas (Station), for failing to timely file a license renewal application for the Station, and engaging in unauthorized operation of the Station after its authorization had expired. The FCC rejected Rufus’s argument on the grounds that “[i]t is well settled that ignorance of the Rules does not excuse a violation. Additionally, the License Renewal Authorization for the Station’s prior term clearly stated that the Station’s license would expire on January 26, 2017.” The FCC did, however, reduce the forfeiture from $7,000 to $5,600 due to its history of substantial compliance with the FCC’s rules. On July 23, the FCC issued a Public Notice announcing the filing deadlines for the Further Notice of Proposed Rulemaking and Notice of Inquiry in its proceeding to modernize and reform the Internet Protocol Captioned Telephone Service (IP CTS) program. Comments on the NPRM are due September 17, and reply comments are due October 16. Comments on the NOI are due October 16, and reply comments are due November 15. In the FNPRM , the FCC seeks comment on how best to fund, administer, and determine user eligibility for IP CTS. Issues include the role that state programs and intrastate carriers can play in the provision of and support for IP CTS, the use of independent third-party hearing health professionals to perform IP CTS user eligibility assessments, and ways to curb provider practices that could be incenting use of IP CTS by people who may not need it. In the NOI, the FCC seeks comment on IP CTS performance goals and metrics to ensure service quality for users. Carriers interested in participating in the IP CTS proceeding are invited to contact the firm for more information. On July 20, AT&T announced Oklahoma City, Charlotte, and Raleigh, North Carolina, as three more cities where it plans launch 5G by the end of the year. AT&T Chief Technology Officer Andre Fuetsch said in an interview the mobile 5G network is expected to launch toward the end of the year, but declined to specify a date. AT&T previously said Atlanta, Dallas, and Waco, Texas would also have mobile 5G by the end of the year, as well as six more cities that have yet to be named. According to Feutsch, the cities were chosen based on where AT&T already held spectrum and were open to AT&T installing the necessary infrastructure. “We worked with the cities that embraced the technology,” he said. JULY 31: FCC FORM 507, UNIVERSAL SERVICE QUARTERLY LINE COUNT UPDATE. Line count updates are required to recalculate a carrier's per line universal service support, and is filed with the Universal Service Administrative Company (USAC). This information must be submitted on July 31 each year by all rate-of-return incumbent carriers, and on a quarterly basis if a competitive eligible telecommunications carrier (CETC) has initiated service in the rate-of-return incumbent carrier’s service area and reported line count data to USAC in the rate-of-return incumbent carrier’s service area, in order for the incumbent carrier to be eligible to receive Interstate Common Line Support (ICLS). This quarterly filing is due July 31 and covers lines served as of December 31 of the previous year. Incumbent carriers filing on a quarterly basis must also file on September 30 (for lines served as of March 31); December 30 (for lines served as of June 30, 2014), and March 31, for lines served as of September 30 of the previous year). JULY 31: CARRIER IDENTIFICATION CODE (CIC) REPORTS. Carrier Identification Code (CIC) Reports must be filed by the last business day of July (this year, July 31). These reports are required of all carriers who have been assigned a CIC code by NANPA. Failure to file could result in an effort by NANPA to reclaim it, although according to the Guidelines this process is initiated with a letter from NANPA regarding the apparent non-use of the CIC code. The assignee can then respond with an explanation. (Guidelines Section 6.2). The CIC Reporting Requirement is included in the CIC Assignment Guidelines, produced by ATIS. According to section 1.4 of that document: At the direction of the NANPA, the access providers and the entities who are assigned CICs will be requested to provide access and usage information to the NANPA, on a semi-annual basis to ensure effective management of the CIC resource. (Holders of codes may respond to the request at their own election). Access provider and entity reports shall be submitted to NANPA no later than January 31 for the period ending December 31, and no later than July 31 for the period ending June 30. It is also referenced in the NANPA Technical Requirements Document, which states at 7.18.6: CIC holders shall provide a usage report to the NANPA per the industry CIC guidelines … The NAS shall be capable of accepting CIC usage reports per guideline requirements on January 31 for the period ending December 31 and no later than July 31 for the period ending June 30. These reports may also be mailed and accepted by the NANPA in paper form. Finally, according to the NANPA website, if no local exchange carrier reports access or usage for a given CIC, NANPA is obliged to reclaim it. The semi-annual utilization and access reporting mechanism is described at length in the guidelines. AUGUST 1: FCC FORM 502, NUMBER UTILIZATION AND FORECAST REPORT: Any wireless or wireline carrier (including paging companies) that have received number blocks--including 100, 1,000, or 10,000 number blocks--from the North American Numbering Plan Administrator (NANPA), a Pooling Administrator, or from another carrier, must file Form 502 by August 1. Carriers porting numbers for the purpose of transferring an established customer’s service to another service provider must also report, but the carrier receiving numbers through porting does not. Resold services should also be treated like ported numbers, meaning the carrier transferring the resold service to another carrier is required to report those numbers but the carrier receiving such numbers should not report them. Reporting carriers file utilization and forecast reports semiannually on or before February 1 for the preceding six-month reporting period ending December 31, and on or before August 1 for the preceding six-month reporting period ending June 30. BloostonLaw contacts: Ben Dickens and Gerry Duffy. AUGUST 29: COPYRIGHT STATEMENT OF ACCOUNTS. The Copyright Statement of Accounts form plus royalty payment for the first half of calendar year 2014 is due to be filed August 29 at the Library of Congress’ Copyright Office by cable TV service providers. Jul. 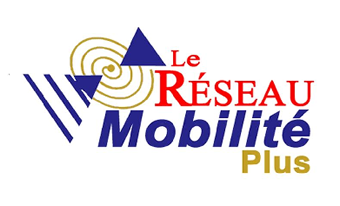 26 – Comments are due on FCC Mobile Wireless Competition Report. Aug. 1 – Comments are due on Station License NPRM. Aug. 6 – Reply comments are due on Expansion of 4.9GHz Band Use NPRM. Aug. 6 – Comments or oppositions due on USTelecom Petition for Forbearance. 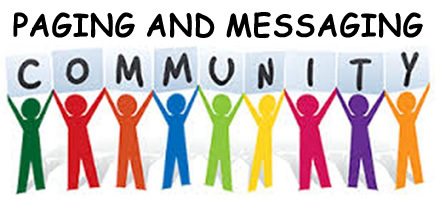 Aug. 6 – Comments are due on FM Translator Interference FNPRM. 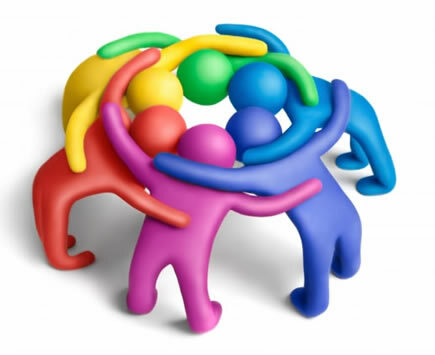 Aug. 8 – Comments are due on 2.5GHz Transformation NPRM. Sep. 7 – Reply comments are due on 2.5GHz Transformation NPRM. Nov. 15 – Reply comments are due on IP CTS NOI. SPRINGFIELD, Va.—( BUSINESS WIRE ) —Spok Holdings, Inc. (NASDAQ: SPOK), the global leader in healthcare communications , today announced operating results for the second quarter and year-to-date period ended June 30, 2018. In addition, the Company’s Board of Directors declared a regular quarterly dividend of $0.125 per share, payable on September 10, 2018 to stockholders of record on August 17, 2018. Consolidated revenue for the second quarter of 2018 under Generally Accepted Accounting Principles (“GAAP”) was $40.6 million compared to $42.3 million in the second quarter of 2017. On January 1, 2018, Spok adopted Accounting Standards Codification (“ASC”) 606, Revenue from Contracts with Customers , using the modified retrospective method applied to those contracts which were not completed as of January 1, 2018. Unless otherwise stated, results for reporting periods beginning after January 1, 2018 are presented under ASC 606, while prior period amounts have not been adjusted, and continue to be reported in accordance with the Company’s historic accounting under ASC 605. As such, adjusted to exclude the adoption of ASC 606, consolidated revenue for the second quarter of 2018 was $41.8 million compared to the $42.3 million in the second quarter of 2017. (1) Adjusted to exclude the adoption of ASC 606. (2) As compared against results adjusted to exclude the adoption of ASC 606. GAAP net loss for the second quarter of 2018 was $1.0 million, or $0.05 per share, compared to net income of $1.5 million, or $0.07 per share, in the second quarter of 2017. Net paging unit losses were approximately 6,000 in the second quarter of 2018, down from approximately 19,000 in the first quarter of 2018 and consistent with second quarter 2017 levels. The quarterly rate of wireless revenue erosion was 2.5 percent in the second quarter of 2018 versus 1.3 percent in the first quarter of 2018. Total paging ARPU (average revenue per unit) was $7.41 in the second quarter of 2018, compared to $7.47 in the first quarter of 2018. Software bookings for the 2018 second quarter were $18.5 million, an increase of 2.0 percent from the first quarter of 2018. Second quarter bookings included $9.4 million of operations bookings and $9.1 million of maintenance renewals. Software backlog totaled $36.3 million at June 30, 2018, compared to $35.9 million in the first quarter of 2018. The revenue renewal rate for software maintenance in the second quarter of 2018 continued at greater than 99 percent. Consolidated operating expenses (excluding depreciation, amortization and accretion) totaled $40.1 million in the second quarter of 2018, up slightly from $39.7 million in the first quarter of 2018. Capital expenses were $2.3 million in the second quarter of 2018, compared to $1.2 million in the first quarter of 2018. The number of full-time equivalent employees at June 30, 2018 totaled 607, compared to 604 at June 30, 2017. Capital returned to stockholders in the second quarter of 2018 totaled $10.0 million, in the form of $2.5 million from dividends and $7.5 million from share repurchases. The Company’s cash balance at June 30, 2018 was $94.1 million, down from $107.2 million at December 31, 2017. Consolidated revenue for the first six months of 2018 was $83.7 million compared to $83.8 million in the first six months of 2017. As discussed above, unless otherwise stated, results for reporting periods beginning after January 1, 2018 are presented under ASC 606, while prior period amounts have not been adjusted, and continue to be reported in accordance with the Company’s historic accounting under ASC 605. As such, adjusted to exclude the adoption of ASC 606, consolidated revenue for the first six months of 2018 was $84.3 million compared to the $83.8 million in the first six months of 2017. GAAP net loss for the first six months of 2018 was $0.5 million, or $0.02 per share, compared to net income of $2.4 million, or $0.11 per share, in the first six months of 2017. For the full-year 2018, adjusted to exclude the adoption of ASC 606, the Company continues to expect total revenue to range from $161 million to $177 million, operating expenses (excluding depreciation, amortization and accretion) to range from $158 million to $165 million, and capital expenditures to range from $4 million to $8 million. Spok plans to host a conference call for investors to discuss its 2018 second quarter results at 10:00 a.m. ET on Thursday, July 26, 2018. Dial-in numbers for the call are 334-323-0522 or 877-260-1479. The pass code for the call is 8594119. A replay of the call will be available from 1:00 p.m. ET on July 26, 2018 until 1:00 p.m. ET on Thursday, August 9, 2018. To listen to the replay, please register at http://tinyurl.com/Spok2018Q2earningsreplay . Please cut and paste this address into your browser, enter the registration information, and you will be given access to the replay. Safe Harbor Statement under the Private Securities Litigation Reform Act: Statements contained herein or in prior press releases which are not historical fact, such as statements regarding Spok’s future operating and financial performance, are forward-looking statements for purposes of the safe harbor provisions under the Private Securities Litigation Reform Act of 1995. These forward-looking statements involve risks and uncertainties that may cause Spok’s actual results to be materially different from the future results expressed or implied by such forward-looking statements. Factors that could cause actual results to differ materially from those expectations include, but are not limited to, declining demand for paging products and services, continued demand for our software products and services, our ability to develop additional software solutions for our customers and manage our development as a global organization, the ability to manage operating expenses, future capital needs, competitive pricing pressures, competition from both traditional paging services and other wireless communications services, competition from other software providers, government regulation, reliance upon third-party providers for certain equipment and services, unauthorized breaches or failures in cybersecurity measures adopted by us and/or included in our products and services, as well as other risks described from time to time in our periodic reports and other filings with the Securities and Exchange Commission. Although Spok believes the expectations reflected in the forward-looking statements are based on reasonable assumptions, it can give no assurance that its expectations will be attained. Spok disclaims any intent or obligation to update any forward-looking statements. 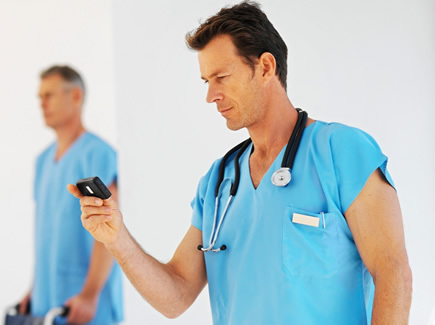 I was blown away about the UK Health Secretary pushing smartphone APPS over paging. Paging have an earned reputation for being mission critical while cellular, the Internet and smartphones never have had that distinction. Those are marketed as “best effort” services. I have had a lot of experience with hospitals recently, as my elderly mother has a “frequent flier” program with hers. One evening I attempted to converse with her attending doctor on his smartphone and every other word was garbled and distorted. He was driving on a major highway, in a major town in Florida, yet his smartphone could not maintain a connection. I recall thinking that it would be awful if he was trying to convey critical instructions to a nurse. In the case of my call with him, the details were equally important. Other times I have tried to call the nurse at the hospital and find her smartphone is switched off. Smartphones are often silenced by the user and have become an annoyance that gets ignored. At least with a pager, it was very hard to ignore the urgency. Maybe the paging industry could enlist the CTIA in an effort to develop a 900 MHz paging receiver that could be installed in the next generation of smartphones. This would give an option to users to enjoy a redundant and robust signaling method that could also be capable of two way paging with the response delivered back through the usual text messaging apps. It should also have a feature where critical alerts over ride any muting or do not disturb settings in the phone. 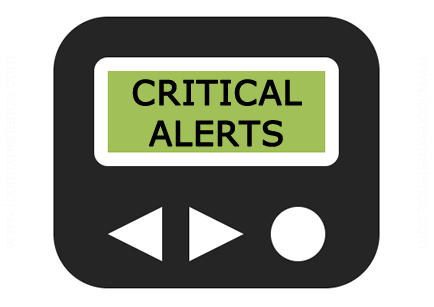 The sender, a hospital in this case can direct a page to on call personnel and be sure the alert is sounded. Also police and fire first responders are hoping the FirstNet system will deliver the reliability of the conventional paging and LMR systems they now enjoy, but they will also be faced with the reliability issues that will thwart critical alerting. My name is Chris Pugh, I work for Novacom Inc. in Herrin, IL. I have known Ira [Wiesenfeld] for many years, I worked for several paging carriers in the 80's and 90's in Texas, most of them in the TAPS group. MY Ham call is K9LED. Just wondering if you know of any 460 MHz PURC-5000 station equipment for sale? We used to by from Rick from Preferred Wireless [in] Saint Louis, until he shut down. Thanks in advance for any info that you might be able to help with. I took on the maintenance and engineering work for a paging company a while back and among a bunch of the loose pieces of equipment are some Glenayre and Quintron PM250C/100C RF Power/Monitor Panels. Unfortunately I've not been able to locate any sort of diagram for the wiring terminals on these things. Any chance you would have that information in some format? It would be quite helpful as I'm considering adding these to a couple of the transmitters which are not equipped with them. We are excited to share this video of our friend Brendan O'Hara performing his original song, “Jah Fakya,” filmed live outside in Austin, Texas, USA. This feel-good song showcases Brendan not only singing but also playing the guitar, keyboard, and melodica as well as looping himself to create a true one-man band. As he states in the lyrics, “getting lost is one way of getting found...” we invite you to get lost in this song and hope that you find nothing but joy!